Commercial printing is technically defined as "the process of taking art work and transferring that work onto an alternative surface in bulk." It is designed to complete high volume orders with a short period of time. 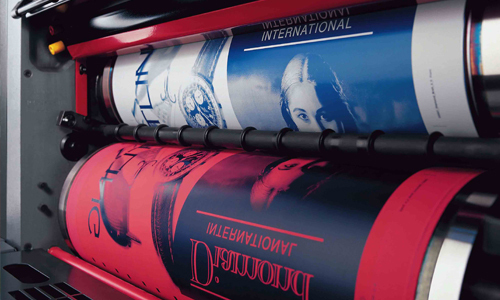 While there have been advances in the technology of commercial printing the actual procedure remains much the same as it has been since its creation. Basically, the desired image is place onto an aluminum plate. 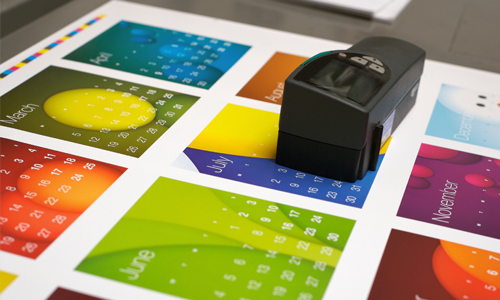 The offset printing process is then used to apply the color to the image. Cyan, magenta, yellow, and black are four colors that are used to create the overall image. In the printing industry you may hear this referred to as CMYK. Once the image has been placed on the plate that plate will go through a process that applies those colors onto the desired surface. Basically, ink is poured into the image on the plate and then that is transferred to a rubber roller known as the blanket cylinder. That is then used to roll the image onto the desired surface. In general if you are thinking of having brochures or flyers printed up you would expect the commercial printing press to print at a rate of 10,000 sheets of paper per hour. Each color is individually placed onto the paper. To create the overall image the paper is moved through four different presses to get hit with each color. Legacy Graphics knows what it takes to get ink on paper. We will walk you through each step of your project in order to instill confidence in what we provide. We love what we do and we will do what it takes to make sure your project receives top priority from each employee at each location. Let Legacy Graphics know what we can do for you. It's not a real difficult to get a job ready for press if you know what you're doing however, if you're new to it, it could be daunting. Our professionals can assist you at every step. Our prepress department will get your job ready for press. Once you upload, we will send you a proof ASAP for your approval. Like we said before "We know what we're doing!" and it shows when we go to press with your job. We will make sure your job matches the proof you approve. From saddle stitching to perfect binding, our finishing department (bindery) will get it completed they way you want it. We use every means available to get your job delivered. We can mail it, ship it or hand carry it. You'll receive it when you want it. 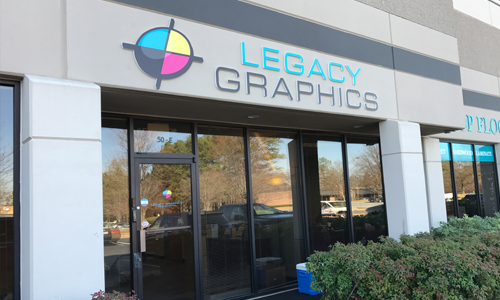 Founded in 1995, Legacy Graphics have committed ourselves to continually provide great services while producing high quality products.